Sometimes you want a cell in your worksheet to catch the eye of the reader and stand out from the rest. The good news is you can do this and rather easily. All you have to do is create the illusion of three dimensions. I know it sounds scary, but trust me, it’s not at all. 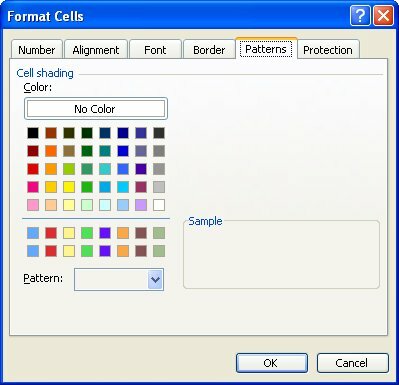 Select the cell you would like to format. 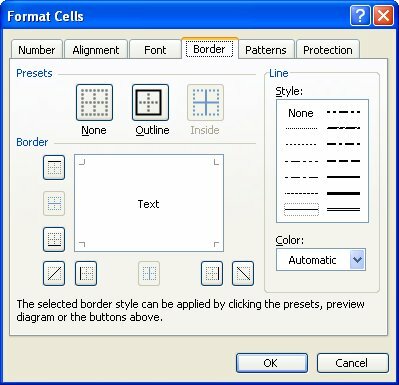 Right-click on that cell and select Format Cells to display the dialog box. Be certain the Fill tab is selected. From the available colors, select the lightest gray you see. This will form the background for your cell. Under Line, click on the second-widest solid line. Be certain the Color drop-down is set to either Automatic or Black. Usually these two settings will give you a black color, which is what you want for this. In the Border area, click the buttons for both the right border and the bottom border. You could also click on the actual border locations in the border area, which is what I do. Utilizing the Color drop-down, select White. It will look like all the line styles have disappeared, but they are still there. The second thickest line style should still be selected. Click the buttons for both the left and top borders. As above, you can also click on the actual border locations. You should not see anything in the preview area, since white-on-white does not show up really well. The cell you selected above should now look as it has been raised up off the worksheet around it. You can make the effect more outstanding by using a background color in the cells surrounding the want that you want to look raised. See? That wasn’t scary at all was it? I am not sure why Microsoft made the Ribbon Tabs in Office 2013 All Caps, when Win8 File Explorer and the Apps use Initial Caps. Perhaps they thought it would draw the eye and so to more easily find the tab you are looking for. Whatever the reason, apparently there are quite a few users out there that find them to be distracting and annoying. Select any tab on your Ribbon and Right-click . On the right-hand side, click Rename and give your tab any name you like. If you would like to keep the name already assigned to that tab by default (which I did), simply rename it with a space at the beginning or end of the name, or modify it in some other way (i.e., _Home_). There is one caveat and that is that you cannot rename it FILE. If you are not sure if your licensed copy of Word (or any of the other applications in Office 2013), has SkyDrive set as the default location for File Open and File Save As, then this is for you! To check to see, restart Word, create a new, blank document, click File | Save As. One thing I really detest about Office 2013 is that you have to always be clicking and mousing to get where and what you want. As you know, I love having my licensed copy of Word streamlined and customized so that I can save as much time as I possibly can while working with it. That’s right folks, the store on my Web site is finally open!! There you will find lots and lots of tutorials, old and new along with books, both old and new. Heck, you will even find a book that is geared to law offices using Word! But don’t be fooled, that book will be useful to anyone who uses it – you don’t have to be a lawyer to reap the benefits! Now that the store announcement is out of the way I would like to say that I am very sorry to see Summer end. I totally love being outdoors in the sunshine and it makes me sad to see it slowly slipping away from me. But on to the next season – Fall! You can still be outside but it will be a bit cooler and the scenery is still beautiful – just different colors. And the best part of that is, that my favorite season comes right after Fall – the Christmas season! But I think I might be getting a little ahead of myself here, so I will hold off on that. I hope you have been enjoying the newsletter and have been learning something from it each month. If there is something you would like me to cover that you have not seen or you have a tip or trick to share, please let me know! 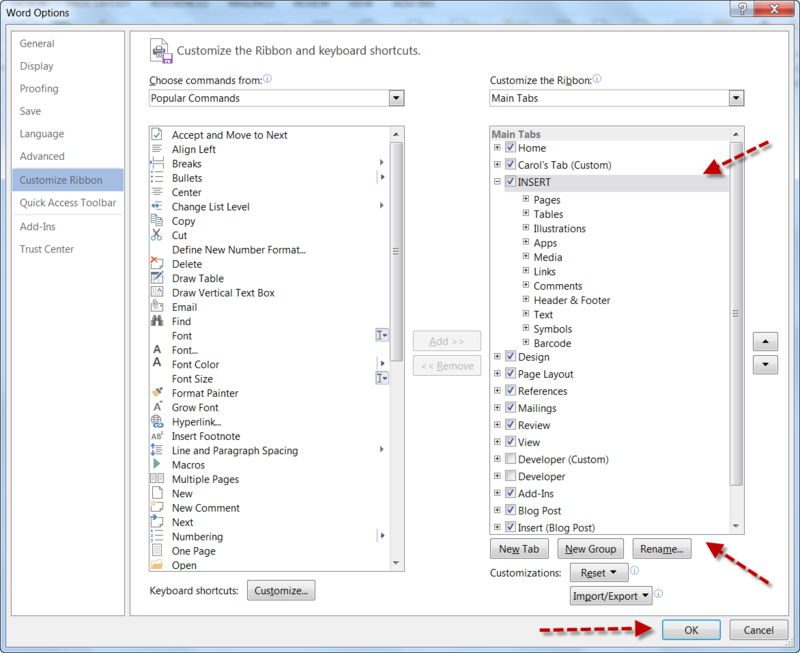 Subscribers: Office 2016 is Coming!! Yes, that's right - the 2016 iteration of Office is right around the corner and although it is not terribly different from Office 2013, there are some major differences. 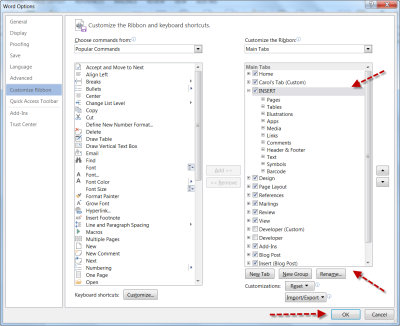 Yes, I am sorry to say we still have the Ribbon to contend with but in this latest version of Offic, Microsoft is introducing "Tell Me,"
The Table Insert tool will quickly and easily create a table in your document for you. When you insert a table in your document though, Word assumes that you want your table to be spread out from margin to margin. It is true that there may be some instances where this would work just fine for you, but you may not want this in every instance. Suppose you want your table to be a bit more narrow so you can center it on your page? There is one way around this default behavior in Word and that would be to create a table that is one column wider than what you actually need. Suppose you need a four column table, then you would create a five column table. The five columns are, of course, spread across your document, margin to margin. Now, simply delete one of the columns. You are then left with your four column table and it is not spread across your entire document! A little sneaky, but it works and that is what counts right? Subscribers: Some Word 2013 Key Combination Shortcuts!